Prof. Zahia Kabouche is a lecturer in chemistry at the University of Constantine in Algeria. Her research interests are focused on Organic Chemistry, Phytochemistry and Pharmacology. She is the corresponding author on the paper entitled “Design, synthesis and anticoagulant activity of new flexible Calixarene sulfonic acids”, published in the journal Comptes Rendus Chimie, and which won the 2014 Algerian Paper of the Year Award in Chemical Sciences. Inspire Magazine speaks to Prof. Zahia Kabouche about the winning paper and the future of her research field. 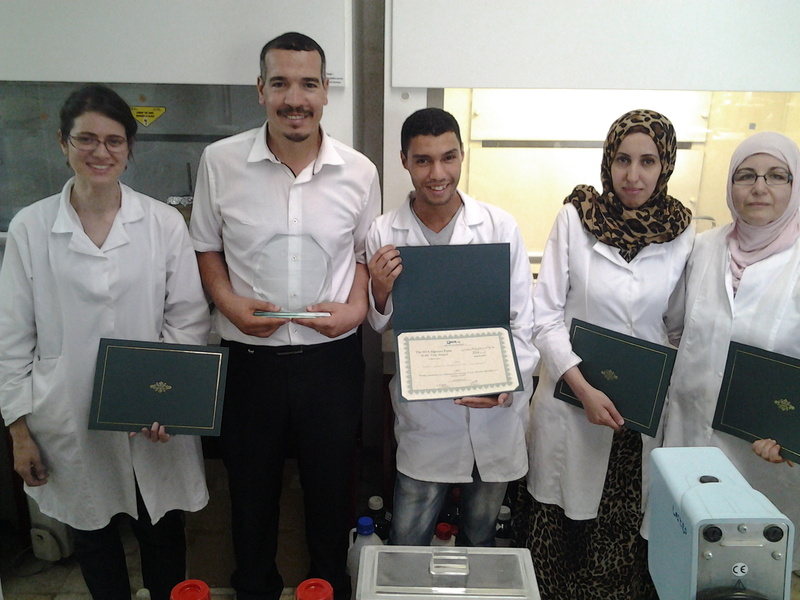 Inspire Magazine: Thank you for speaking to Inspire Magazine, and many congratulations for winning the 2014 Algerian Paper of the Year Award in Chemical Sciences. How do you feel about winning this award? Prof. Kabouche: Thank you very much. Congratulations to you for the successful awards events. I am happy with the award and proud of my team. Prof. Kabouche: The paper is about molecules known as Calixarene sulfonic acids. These molecules have anticoagulant or blood thinning activity. The paper describes the design and synthesis of these water soluble and flexible molecules and investigates what is known as the structure-activity relationship. In other terms it determines the effect of changing the chemical structure on the activity of the molecules. This is in order to establish which part of these molecules is responsible for their activity. To achieve this we use what’s known as POM (Petra Osiris Molinspiration) calculations. IM: What does the term calixarenes stand for? Prof. Kabouche: Calix[n]arenes are metacyclophanes that acquired their name because of the resemblance of the shape of the smallest member of this family to a type of a greek vase (Figure1) called a calyx krater. Initially, this name was only applied to the phenol-derived oligomers but now it is used more generically. The word metacyclophane can be divided into two parts the prefix meta and cyclophane. A cyclophane is a hydrocarbon molecule consisting of an aromatic unit (typically a benzene ring) and an aliphatic chain that forms a bridge between two non-adjacent positions of the aromatic ring. In metacyclprophanes, the prefixe meta corresponds to the usual arene substitution patterns and n refers to the number of atoms making up the bridge. Paracyclophanes adopt the boat conformation normally observed in cyclohexanes but are still able to retain aromaticity (Figure 2). IM: In a nutshell, can you describe the basic chemical steps involved in making calix[n]arenes? Prof. Kabouche: For the synthesis of calix[n]arenes, we used either a method called the one-pot synthesis via the base-catalyzed condensation of para-substituted phenols. As the name suggests in this method all the components are mixed together and allowed to react in one reactor. The alternative method we used is the stepwise procedure, where the acyclic phenol–formaldehyde precursors are reacted gradually. Finally, the calixarenes were treated with furane (or pyrane) derivatives for three days at room temperature. This led to the generation of the new corresponding water-soluble calixarenes bearing a propane (or butane) sulfonic group with excellent yields (95-98%). IM: What are the potential therapeutic applications of using calixarenes? Prof. Kabouche: Calixarenes are very interesting molecules, and in addition to the anticoagulation activity reported in our paper, they have been shown to have various other potential therapeutic applications. For instance, recent research has demonstrated the anticancer activity of a newly synthesised calixarene (calicplatin) which is a functionalized calixarene with four platinum(II) centers, against three different human carcinoma (non-small-cell lung, hepatocellular, and breast cancer) cell lines (1). These molecules have also shown potential antibacterial activity, and they have also been used to produce new generation penicillins. These are synthesised by grafting four 6-aminopenicillanic acid moieties at either rim of calixarene. The resulting modified penicillins have shown enhanced antibacterial activity(2). Other examples for the potential therapeutic application of these molecules include their ATPase inhibition activity and their use as drug carriers. IM: Can you briefly outline the pharmacological mechanisms through which calixarenes affect blood coagulation patterns? and how is that rationalised via structure-activity relationships? Prof. Kabouche: The mechanism is not well understood. The POM calculations showed that these calixarenes may be used as anticoagulants according to the calculated parameters (druglikeness, drugscore…) which are in agreement with those of commercial anticoagulants. IM: What are the advantages of your method of synthesis of calixarenes? Prof. Kabouche: Our method offers potential advantages especially for scaling up, since it is cheap, easy, quick (one-pot), clean and quantitative (95-98% yields). IM: Are there any clinical safety risks which could accompany the use of calixarenes therapeutically? Prof. Kabouche: The drug likeness and drugscore and other toxicity parameters of these molecules are in good ranges. Hence, these molecules have a great potential as drug candidates. IM: Do you have any plans to drive the concept of using calixarenes down the drug development pipeline? Prof. Kabouche: Not yet, we are still at the early stages of drug synthesis, many other hurdles need to be overcome before then. IM. What is your assessment on the state of this type of research in Algeria? And how do you see it progressing in the future? Prof. Kabouche: For the moment, in general, Algerian pharmaceutical enterprises are not so interested in research. However, it is very important for Algerian researchers to build relations with the industrial sector, to develop pharmaceutical research in Algeria, which in my opinion cannot be improved without the collaboration with the industrial sector. Prof. Kabouche: You’re welcome and thank you again for your efforts. Nasuhi Pur, F., Akbari Dilmaghani, K. (2014). Calixplatin: A novel potential anticancer agent based on the platinum complex with functionalized calixarene. Journal of Coordination Chemistry, 67 (3), 440-448. Nasuhi Pur, F., Akbari Dilmaghani, K. (2014). Calixpenams: synthesis, characterization, and biological evaluation of penicillins V and X clustered by calixarene scaffold. Turkish Journal of Chemistry, 38 (2), 288-296. Dr. Romaissa Asme Boussahel obtained her PhD from the School of Pharmacy, University of Nottingham, her work focuses on drug delivery, tissue engineering and regenerative medicine with a particular focus on growth factor delivery formulations and bone regeneration. She is Co-founder and Associate Editor of Inspire Magazine. Congratulation for the well merited award. At least Constantine University has something to be proud of. Just a byside question. 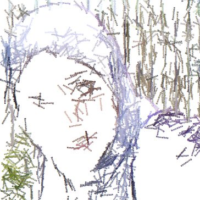 Why the ghostly image of the principal author? Is it a technical mistake or some artistic effect which went wrong?